"Newport, R.I., City & Harbor" by H. C. Leighton Co., Portland, Me. H. C. Leighton Co., Portland, Me. 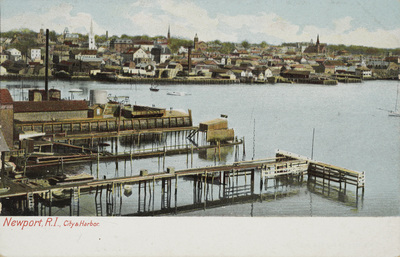 H. C. Leighton Co., Portland, Me., "Newport, R.I., City & Harbor" (1907). Rhode Island Postcards. 279.